Dr. Roland Hayes Powell, Sr. was born on November 29, 1931, in Rocky Springs, Mississippi, and was the middle child of three. He was preceded in death by his parents, John Benjamin Powell and Freida Randall Powell, and one sibling, William Jack Powell. Roland’s family moved to Jackson when he was three and he grew up on Valley Street in the “Gowdy Community” where he began his formal education at Mary C. Jones Elementary, Reynolds Elementary and Jackson State Prep School. Roland accepted Christ at an early age and grew up in College Hill Baptist Church where he joined the Boy Scouts at the age of 12 and later became the 8th Eagle Scout, a very high honor for youth in the Boy Scouts. Roland was very good at baseball and loved to play as often as he could. 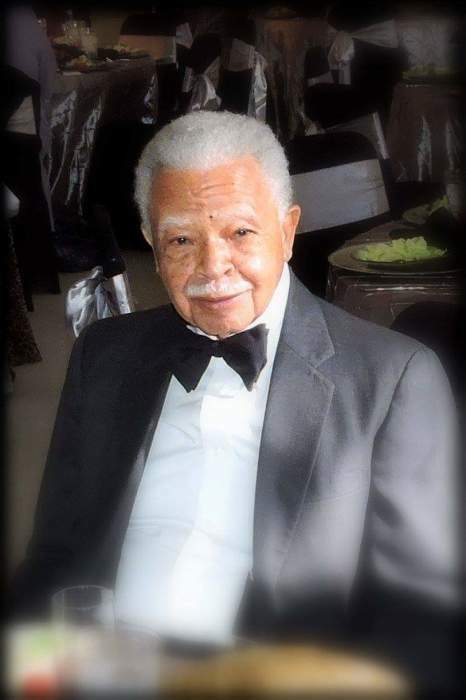 He began his high school years at Holy Ghost Catholic School where he graduated in 1950, afterward he attended Tougaloo College where he graduated in 1954 with a B.S. Degree in Biology and minors in Chemistry and Psychology. Roland met his wife, Sondra, in the chemistry lab her freshman year at Tougaloo College, where they connected with the right chemistry. Roland and Sondra married on December 23, 1955, while he was serving in the U.S. Army, sharing their love for each other for 63 years. They moved back to Los Angeles after his Honorable Discharge from the Army in 1956 and converted to Catholicism. Roland was a Social Worker for the City of Los Angeles. He was also one of the Presidents of the Los Angeles-Tougaloo Alumni Association and Founder/Charter Member of the Tau Tau Chapter of Omega Psi Phi Fraternity in Compton CA. He became interested in Veterinary Medicine after meeting Dr. Tom Gipson, a Tuskegee veterinarian in Los Angeles from Greenville MS who attended Alcorn College. Roland applied to the Tuskegee School of Veterinary Medicine, was accepted, and moved his family to Tuskegee Institute where he graduated in 1965 with a Doctor of Veterinary Medicine. Dr. Powell was one of seven veterinarians in Jackson and the first black veterinarian when he returned in 1965, to his home in Jackson MS after graduation, where he and his wife operated the Valley Street Animal Clinic, their first veterinary clinic for 29 years, later the Terry, MS Animal Clinic was added in 1990. The Valley Street Animal Clinic was relocated to Raymond Road in 1994 as the Powell Animal Clinic. Dr. Powell retired in 1997 but came out of retirement to open the Monroe Street Animal Clinic with his son, Dr. David Powell, Dr. Sylvia Stewart (a mentee) and his wife, Sondra, in 2010. His wife, Sondra, served as his Administrative Assistant, Office Manager and Bookkeeper in all his business ventures. Their clinics served as Preceptors, nurturing and mentoring over 100 students from the surrounding neighborhoods, Jackson State University, Tougaloo College, Alcorn College, Callaway, Lanier, and Jim Hill High Schools and Brinkley Junior High. Some of their mentees have become Deans of Veterinary Schools in Tuskegee and California, USDA Supervisors, Military Veterinarians, Veterinary Clinicians, Military Dentists, Medical Doctors, Teachers, and other diverse fields, to include one of his sons, Dr. David Powell, a Veterinarian, who worked by his side and served as a Veterinarian for USDA and the US Army National Guard, retiring as a Colonel with a state retirement of Brigadier General. Dr. Powell was also an Assistant Professor of Biology at Jackson State University from 1966 to 1997, teaching primarily Anatomy and Physiology to Honor Students. He was Director of the Research Laboratory Animals, assisted and advised researchers on health, contamination, disease control, and other related areas; a member of the Beta Beta Beta Honor Society in Biology (1969) and received the Jackson State University “Biomedical Summer Science Program Award” in 1982. 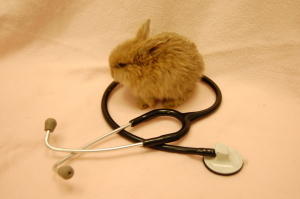 He was also an Adjunct Professor at the Mississippi State University School of Veterinary Medicine from 1976-1986. He served on the Board of Directors of Tuskegee Veterinary Medical Alumni Association and was a Life Member of the American Veterinary Medical Association, Life Member of the Mississippi Veterinary Medical Association, Life Time Member of the Tuskegee Veterinary Medical Association and a Member of the Jackson MS Veterinary Medical Association. Roland was an active member of Holy Ghost Catholic Church, having served as a Lector and Extraordinary Minister of Communion. 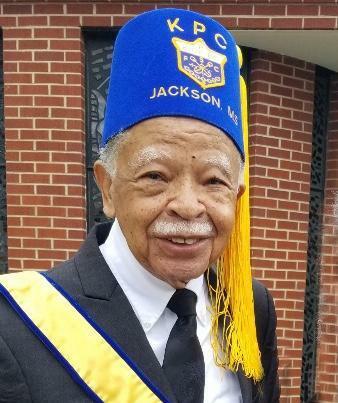 He served in numerous organizations in the church to include: one of the chairs of the Holy Ghost Building Committee, Grand Knight of Knights of Peter Claver Council 171, Coordinator of the Parish Life Center, President of the Pastoral Council, and Holy Ghost Men’s Group. Over the years, Dr. Powell was very active in his community. He served as Manager of the Little League Baseball Team and Commissioner of the City of Jackson Dixie Baseball League when his children were young. He tried to coach the team, but they asked him to find them another coach so they could win, and he could be their manager. About 5 or 6 of these kids went on to play in major leagues. He served on the Big Brothers Jackson Advisory Board. He led a Boy Scout Troop and was on the Executive Board of the Boy Scouts of America, Andrew Jackson Council-Jackson, MS where he was awarded their highest honor, the “Silver Beaver Award” in 1999. He served on numerous boards in the community, some of which were: Basileus of Beta Alpha Chapter of Omega Psi Fraternity, Executive Board of Kairos International Prison Ministry, the Kairos Horizon Board and the Mississippi Executive Committee of Kairos. Renewed Life Ministries, a non-profit corporation (2000-2005), was started from his prison ministry involvement, to help paroled inmates rehabilitate before re-entering their communities. He served as treasurer of the Central Mississippi 9th and 10th (Horse) Calvary Association, known as the “Buffalo Soldiers”. Dr. Powell and his wife were major owners of S&R Enterprises, small business investments from 1991-2000; Port Gibson Electric Manufacturing Corp. a dedicated supplier for GM Packard Electric from 1981-1990, receiving the US Small Business Administration “Advocate of the Year Award” in 1985; and Amerimac Manufacturing Corporation with his son, Steven, which manufactured Precision Machined Parts from 1998-2005. His business associations included: Charter Member of National Business League, Executive Committee of the Central Mississippi Planning & Development District, Board of Directors and President of State Mutual Federal Savings & Loan Association, and President of Local Development Corporation of Central Mississippi. Roland and his wife, Sondra, operated a Tree Farm in Simpson County until his death. He had served on the Board of Directors for the Simpson County Forestry Association and the Hinds County Forestry Association. He loved to hunt and fish and landscaped his yard and tree farming. In later years, he began to learn to play golf with the help of friends, Atty. Eddie Tucker and Dr. Richard Middleton. Roland loved doing all kinds of activities with his family, which were numerous, especially cookouts on most holidays. Visitation hours will be held on Friday, April 5, 2019, from 12-6 p.m. at Peoples Funeral Home located at 886 N. Farish Street - Jackson, Mississippi.